Tips: Control of calcium can be very challenging, especially in spas. 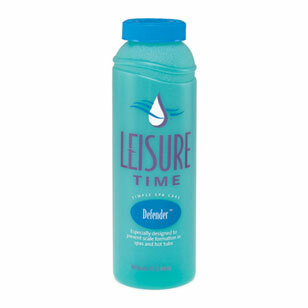 Regular use of Defender will prevent mineral buildup from occurring and causing the spa’s heater or equipment to fail. Use as a follow-up to Leisure Time Metal Gon, applied at start-up.